Dr. Gloria Snively is Professor Emeritus at the University of Victoria where she taught science methods, environmental/marine education, and culture courses. She was Director of the Graduate Program in Environmental Education. For 12 years, she was involved with the Asia Pacific Network whose purpose is to strengthen links between the research community and school-based environmental education in the Asia-Pacific region. Her work with Indigenous education spans 4 decades and has always been inspired by Indigenous leaders. 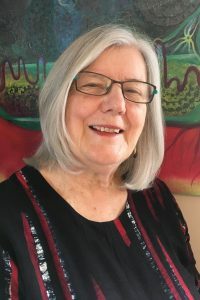 She enjoyed giving natural history talks and walks to students, teachers, park interpreters, First Nations and community groups for 50 years; she prefers to explore forest, ponds and seashores first-hand. Dr. Wanosts’a7 Lorna Williams OBC walking in peace is Lil’wat of the St’at’yem’c First Nation. Her life has been devoted to promoting and restoring Indigenous culture and language. 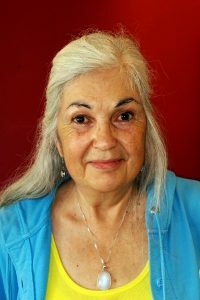 She worked as an Indigenous educator and language specialist for more than 50 years in diverse settings, including Indigenous communities, public schools, and adult education settings. Dr. Williams recently retired from the University of Victoria as Canada Research Chair in Indigenous Knowledge and Learning (co-appointment with Faculty of Education and Department of Linguistics) and an associate professor, where she developed and delivered an innovative series of courses on learning and teaching in an Indigenous world. Gwixsisalas Emily Aitken how to place your feet is of the Ławit’sis Nation, one of the Kwakwaka‘wakw nations. She is a certified Kwak’wala language teacher and has been teaching Kwak’wala for 12 years at a community driven language class. She has made a life-long commitment to revitalizing the Kwak’wala language. Wii Smax John Corsiglia Big Bear helped develop K-12 and post-secondary language and culture programs for the Nisga’a Schools and university system, and worked with the Nisga’a Tribal Council on research related to land use and ownership. 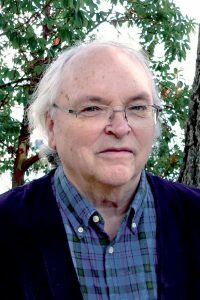 He also worked with the Ahousaht and Haida First Nations, and taught First Nations education, history and culture courses at the University of Victoria. ‘Nalaga Donna Cranmer the dawning of a new day from the ‘Namgis First Nation received her BEd from SFU and her MA from UVic. Donna feels it is important for our children to learn ‘Namgis Traditional Ecological Knowledge with the creation of a ‘Namgis social, science and language arts curriculum. 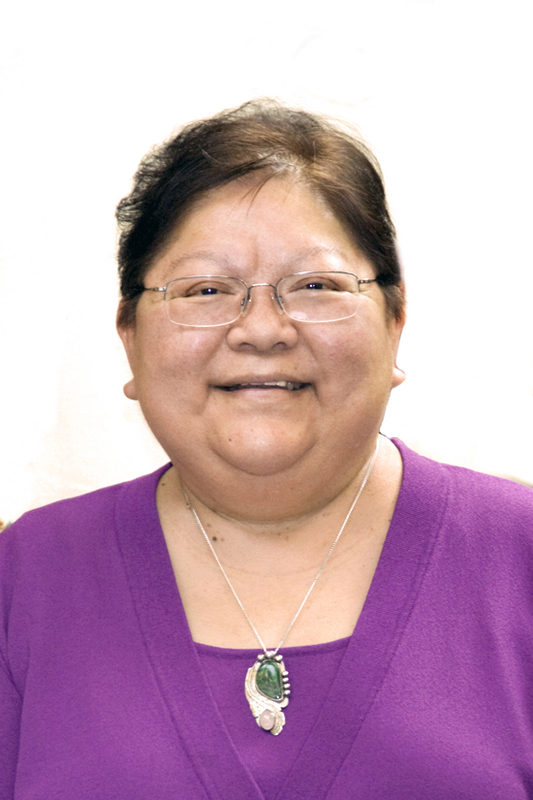 For sixteen years she was a Grade 1, 2, 3 and Kwakwala language and culture teacher at T’łisalagilakw School in ‘Yalis, and is principal of Wagalus Elementary School in Fort Rupert. 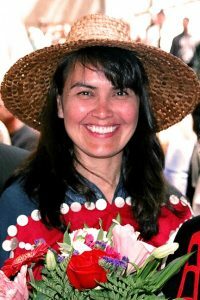 ‘Welila’ogwa Irene Isaac strong woman is Kwakwaka‘wakw, a member of the ‘Namgis First Nation (BEd 2000, UBC & MA 2010, UVic). Irene worked with the Vancouver School Board, Parks Board, BCIT and the ‘Namgis First Nation to incorporate local and traditional knowledge into the current BC curriculum. 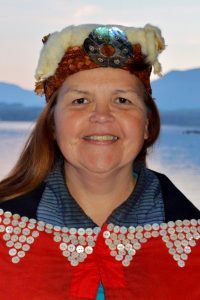 For 16 years Irene was an intermediate teacher at the T’łisalagilakw School in ‘Yalis, and is district principal, Aboriginal Programs for Vancouver Island North. Dr. Edōsdi Judith C. Thompson someone who raises up pets and children from the Tahltan Nation. Edōsdi BSc (Kinesiology), MSc (Environmental Studies), PhD (Environmental Studies/Education/Linguistics). 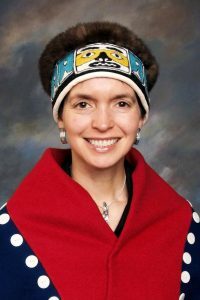 She is the Tahltan Language and Culture Lead for her nation and was a college professor at Northwest Community College in Prince Rupert, BC. She is currently Assistant Professor at the University of Northern British Columbia. Contributing Authors by Gloria Snively and Wanosts'a7 Lorna Williams is licensed under a Creative Commons Attribution-NonCommercial-ShareAlike 4.0 International License, except where otherwise noted.